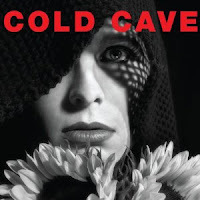 Cold Cave released their new (heavily 80s electro inspired) album 'Cherish The Light Years' last Monday and you can listen to it in full below. There's also a free download of the album's hyperactive opener, 'The Great Pan Is Dead', courtesy of the Matador Records blog. Purchase the album from Matador, Amazon.co.uk, iTunes etc.